This is going to be the new storage place for many, many photos of my cars and projects...which I consider my toys. I love cars... fast cars, to be precise. But cars in general. IHRA or NHRA Drag Racing, oh yeah baby!! 1969 Chevy Nova that we are building with a 427 tall deck block, bored to a 440. This car is my drag racing car and it is coming along really well. We are concentrating on the motor right now and will then move to the rear-end and everything else that needs to be done. The Nova is pictured below, but I am sanding the black off and will try it again to make it look better. First paint job was bad and black shows too much body damage... so it'll be silver with black stripes. I can't wait... this car will look and sound spectactular! 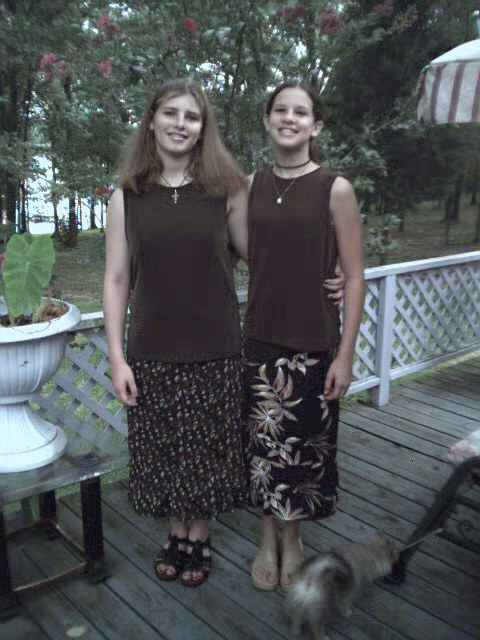 The picture below are my nieces... at my moms house on the lake. They are great kids!! I'm very proud of them for the accomplishments they've made and how far they've come! 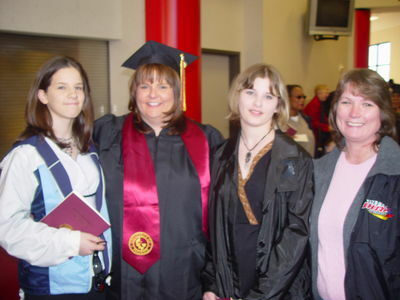 The last picture is my college graduation pic from January of 2005. Woo hoo... I finished!! 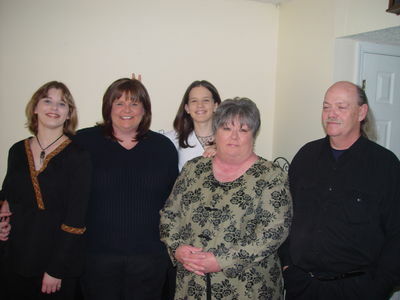 This is my mom and stepdad, nieces, and me before leaving for the ceremony. My nieces again, and added Beth this time.